If you live in a city, chances are you have a perpetual urge to get away from the chaos. There is a huge need to escape and move to a secluded, private place that is away from traffic, commercialization, concrete jungles, crowds, noise, work stress, commuting, pollution and more. A majority of us can only dream of such a destination, while a few fortunate ones actually live this life. Their abodes include isolated stone cottages, picturesque ice huts and temples (yes temples. You’ve got to experience it to believe it. 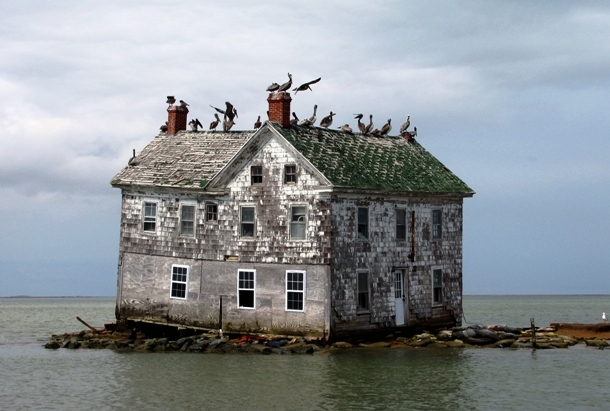 Here’s a list of 25 of the world’s most unique and amazing isolated houses. 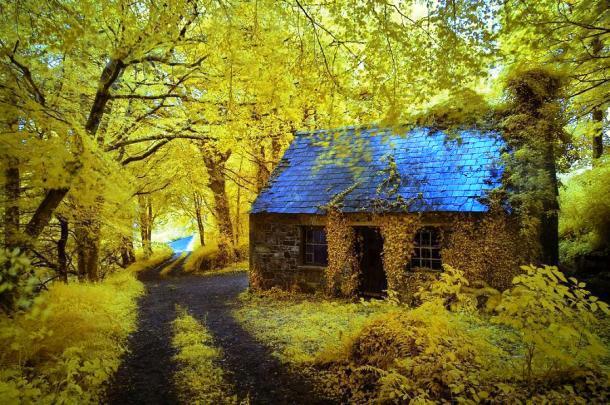 This charming house nestled in smack in the middle of the woods near Stradbally in the Irish midlands is a picturesque structure that’s worth marveling at with its blue roof. Residing in this quaint cottage is a lonesome romantic’s fantasy come alive. Yes, if you have grand ideas about living by yourself in the middle of the woods with nothing to disturb you, this is indeed you manna from heaven. Yes, and like several authors, you can create your own fairy tale or bestseller in the undisturbed environs of this stunning residential retreat. 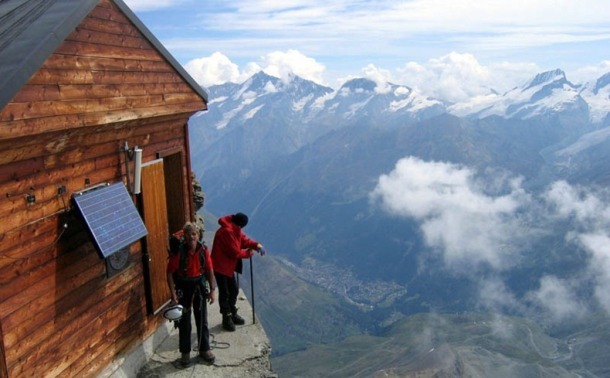 Nestled in the mid 20th century, the charming mountain hut is utilized by walkers and hikers without any charge. 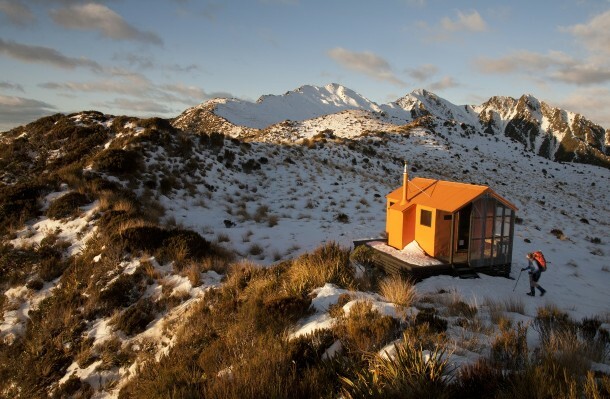 The Mount Brown perched home situated in New Zealand is a hut outfitted with all necessary features that is needed to enjoy a relaxed and cozy stay in the midst of a lush natural landscape. Yes, it’s a hiker’s haven that won’t cost you a dime, what are you waiting for? Get together with your hiking enthusiast friends and prepare for a relaxing break while enjoying the region’s outdoors on an adventure packed hiking activity. What do you do when you don’t want to be disturbed by your neighbors or just about anyone? You come up with something as ingenious as this totally secluded stone house that is created between two large rocks on an isolated hill in Portugal’s northern region. It looks like the house doesn’t have an entrance, and you’re either in or out of it. What a brilliant way to avoid pesky on-lookers and neighbors! This house is a private island of its own smack in the middle of Key West’s clear, teal colored waters. 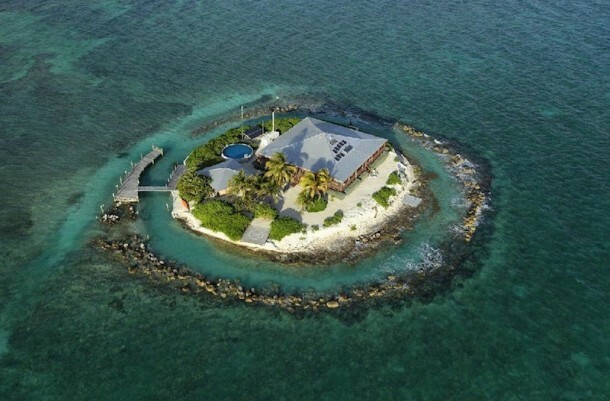 It has sand, palm trees, a tiny pool and a breathtaking beautiful house that makes for a magnificent aerial view. I mean who wouldn’t want to get past their driveway and dive straight into the blue sea? This one’ a stunner all the way! Each time you want to get out of the home, call a boat or travel in a helicopter. What an exciting life that really is! This mystical looking jungle house is a scenic refuge for those seeking some lonesome time in the middle of the woods. Yes, you are forgiven for mistaking that you are on the Game of Thrones set or a reality show that has put you in the middle of a lush forest. 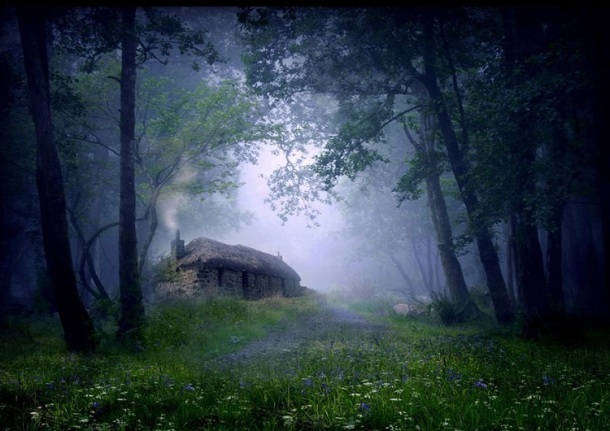 It’s all mysterious, misty and hazy here, and this could easily double up as the quintessential fairy tale home in the middle of the woods, with or without evil wolves baying for your blood! This quaint little house is another one with a storybook appeal. It is nestled in the verdant Swiss countryside and offers uninterrupted peace and tranquility deep in the midst of nature. The hut may be small but there’s no denying that it drips with an old-worldly charm that is even more beautiful in the backdrop of an emerald Swiss country-side setting. Great for enjoying moments of peace and solitude in the middle of Sulwald’s panoramic natural landscape! The ultimate escape retreat. 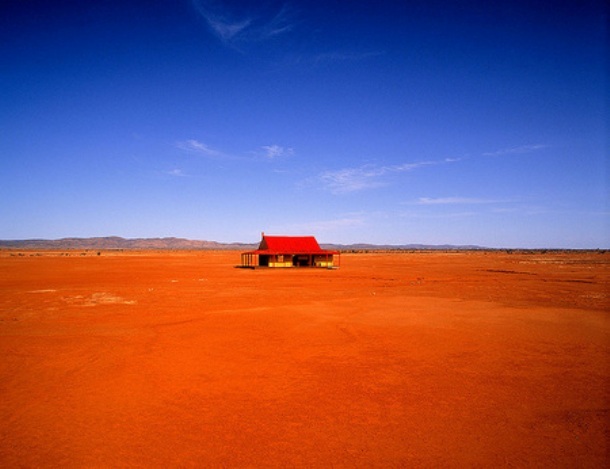 You’ve got to experience Australia’s outback region to understand the mysticism and charm of real isolation in the middle of no man’s land. The dry, arid patch attracts innumerable adventure buffs and outdoor action seekers for its undeniably rugged natural appeal. This bright crimson house offers some respite from the endless dry patches of land surrounding it, and give it nice enigmatic appeal. The region is for all lovers of rugged adventure who chuck comfort and luxury for a unadulterated adventure. 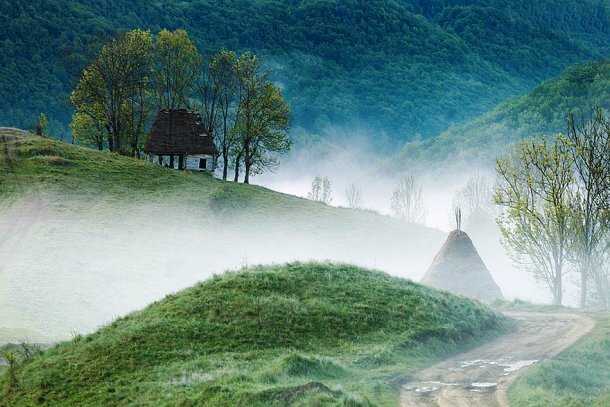 Another one straight out of Enid Blyton’s books, this one is nestled in the picturesque confines of Romania’s Apuseni Mountains. It is appropriate for fans of horror series and ghost stories since the place is almost always covered in an eerie looking fog that gives it a more haunted appeal. It is also ideal for those seeking a romantic lonesome time. The fact that it is housed in Transylvania region, which is the iconic Dracula’s home. Double the terror, yes! 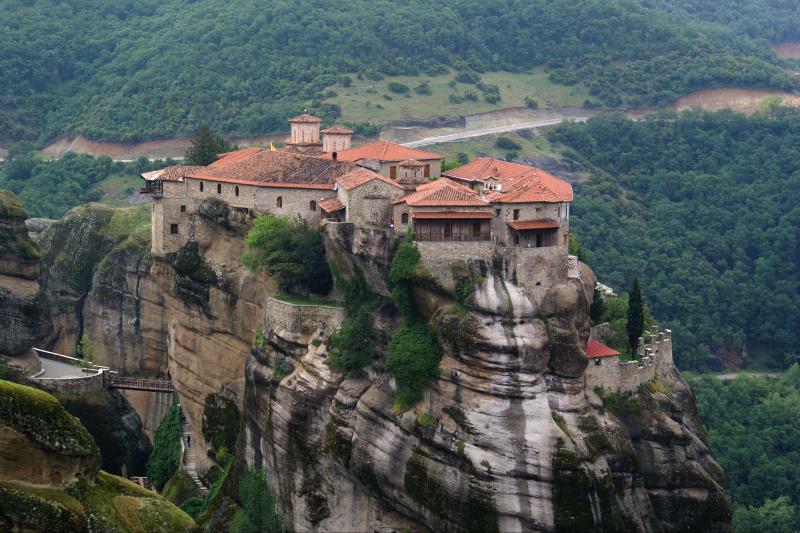 Built in the late 15th century, this striking structure is none other than The Holy Trinity Monastery in Greece. Nestled 400 meters on an elevated rock, the monastery can be accessed only through a climbing rope ladder (thrilling, right?) The entrance is accessed by ascending 140 steps atop the mighty pinnacle rock. This one makes for a stunning climb, and is one challenging to access abode. 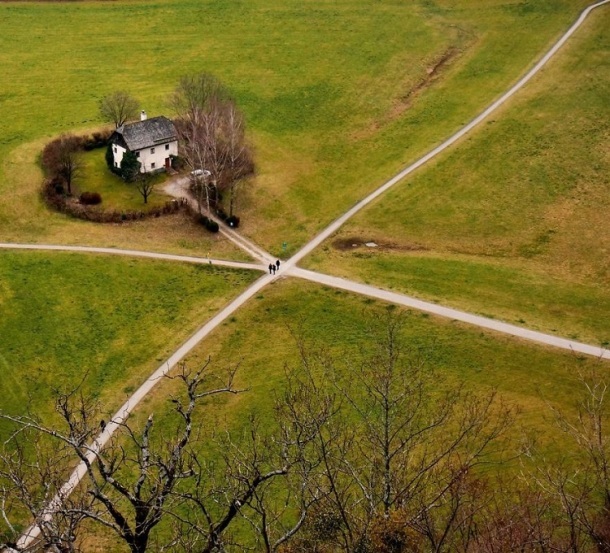 Being on the crossroads of life acquires a totally different meaning when you are living in a home that is literally placed on a path where several other paths converge. This scenic house located in Austria’s beautiful countryside near Salzburg is a dream come true for anyone wanting to lead the quintessential European countryside life with no distractions and sounds. 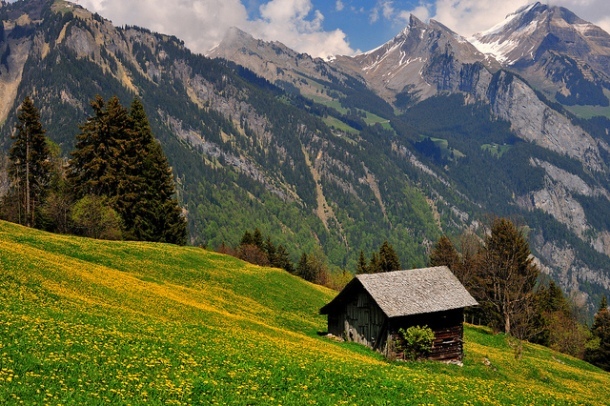 The tiny speck of pristine white in a green landscape is nothing but a cliff house. 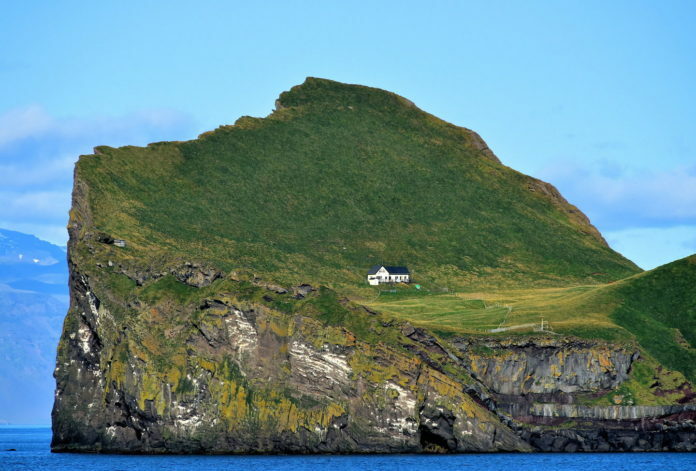 If you want to know how to lead a real hermit’s life, head here in the middle of no man’s land on the Vestmannaeyjar archipelago nestled off Iceland’s southern coast. You’ll feel like a sage, meditating on top of mountains. Plus there’s plenty of serenity, and not a single soul in site. 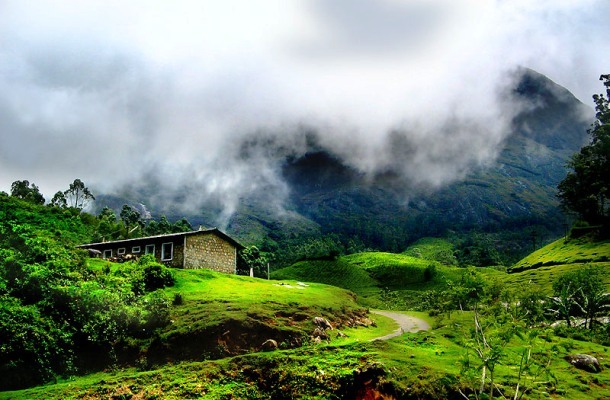 Covered in lush greenery, mountains and year round mist, this spectacular homestead in a secluded Munnar mountain village in Kerala has the appeal of a highly mysterious place. It is enveloped in clouds, greenery and a sort of mystical appeal that’s hard to beat. You’d be forgiven for thinking you’ve actually landed on a gorgeous move set. Yes, as if the beauty of Munnar’s tea estates wasn’t enough, homes like these accentuate the region’s appeal. No one this one’s not from the Hollywood flick Signs but comes really close to it what with its mysterious field patterns and bang in the middle of no man’s land home. The house is covered a field that bears a rather unusual and bizarre crop growing pattern. 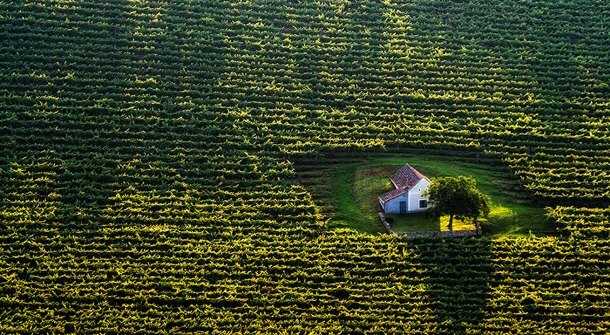 Nestled in a lush Hungarian field, this is as picturesque and isolated as it gets. Imagine spending eerie nights in the confines of this mysterious field house. Whoa! 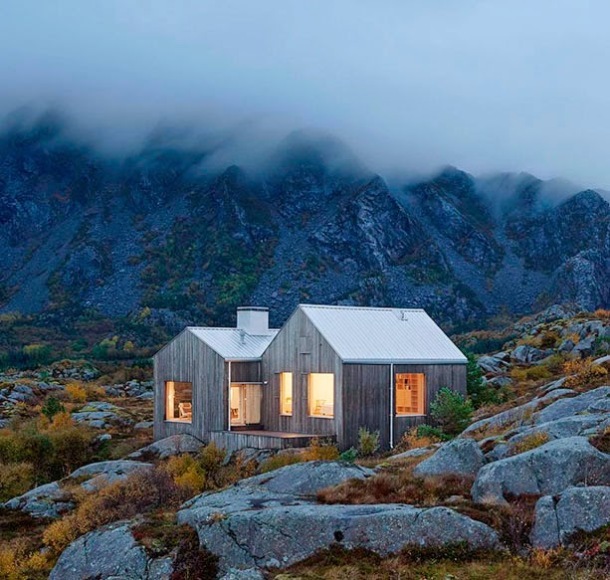 Nestled on a secluded land in Norway’s northern region, this is a fully functional wooden double cabin that is also surprisingly well-equipped for a home that is located in the middle of nowhere. The brain behind this ingenious and fully operational wooden house? Swedish architect Erik Kolman Janouch. Yes, the cabin house is perfect for a charming yet comfortable stay. 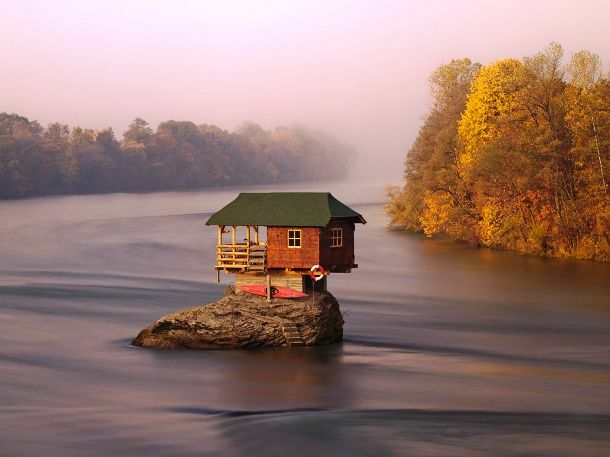 We don’t blame you if your jaw has dropped in amazement at the sight of this quaint, cabin like house located atop a rock, bang in the center of Serbia’s Drena River. How utterly romantic! Imagine living in the middle of a river on a rock perched house with that special someone without anyone to disturb the peace and tranquility. We’re wondering how it hasn’t been spotted on a movie location recee yet. This pretty looking home was once found on Maryland’s Hollywood Island. It features an undeniable rustic and rugged charm and makes for a perfectly secluded home for those seeking serenity, away from the chaos and crowds. Unfortunately, the house collapsed a few years ago. Such a shame, really! Another stunning rice paddy fields located house, which is not more than a basic yet intriguing looking hut. 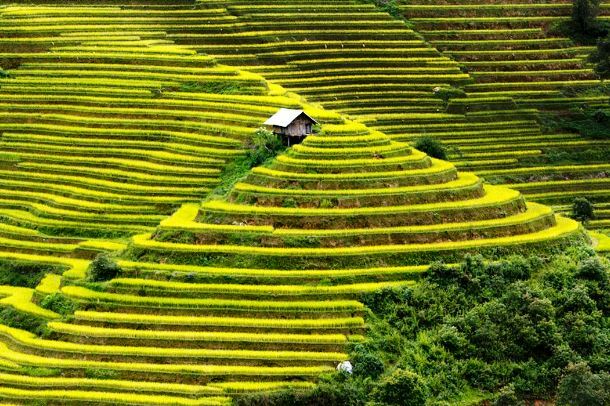 The hut is believed to be utilized by farmers who were employed at rice fields in North Vietnam’s Mu Cang rural region. It is not just another home but one that is replete with tales of hands that feed the nation. The idea of having a house dedicated to folks to toil hard on the fields seems wonderful! 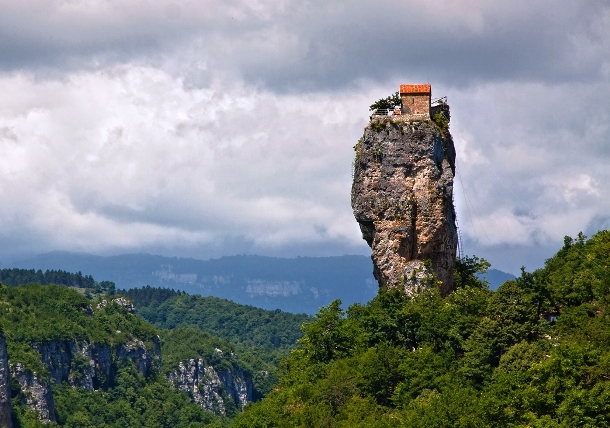 This home is actually a church that is devoted to Maximus the Confessor nestled atop the intriguing Katskhi pillar, which is a dramatic limestone monolith nestled in Georgia’s western region. The exotic looking home provides the perfect backdrop for weaving a tale replete with mysticism, spirituality and religion. It looks scarily perched from far and looking out from the church is certainly not for the faint hearted or those stuck with vertigo. 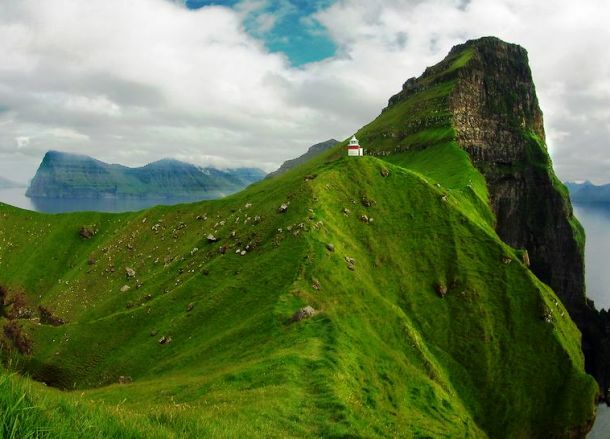 Faroe Islands is so poetic, it seems almost unreal, and more so when you see homes like these. It is so easy to miss this tiny white dot in the midst of all that green mountainous landscape. The home is perched on top of a slope that looks both beautiful and scary. This is the perfect place for nature and adventure buffs who want to enjoy some secluded moments away from the chaos. We won’t be surprised if you turn a poet overnight looking at this picturesque home. 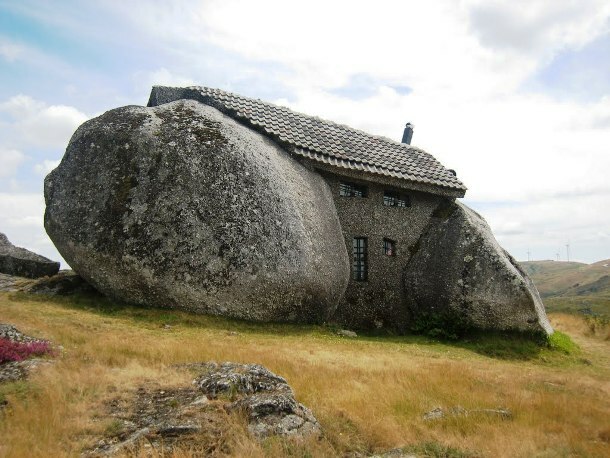 Even though the place seems terribly photoshopped, with a house fixed in the middle of rocks, this house is as real as it can get (yes no photoshop required). 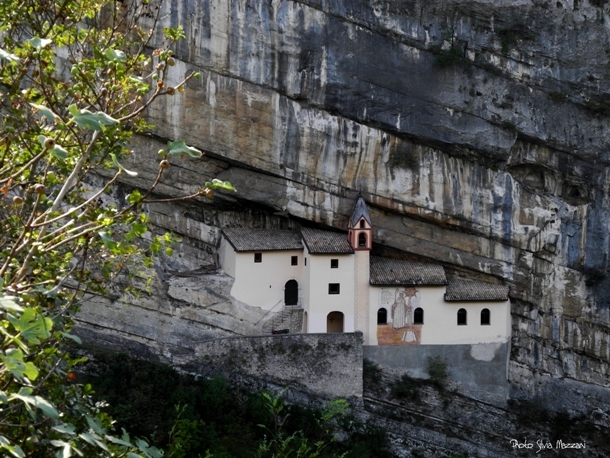 It is a real structure in northern Italy referred to as Eremo di San Colombano, which is a monastery used by monks for several hundred years. Imagine the peace and tranquility of meditating in a place as spectacular and isolated as this. 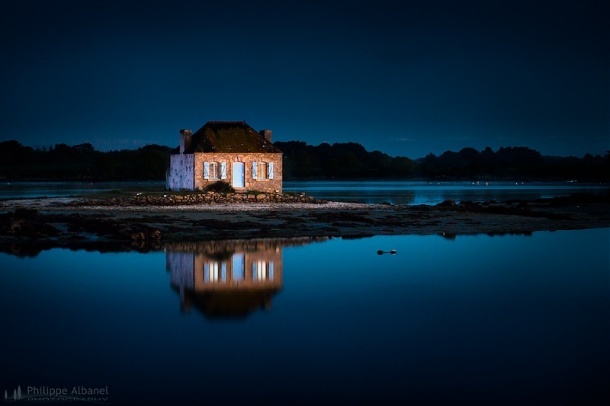 After sunset, the hypnotically beauitful reflection of the house in the clear blue waters of a little known French island known as lle de Saint Cado makes for a sight to behold! It is a loner’s ultimate fantasy to live in this no man’s land house that is smack in the middle of water and causes a lovely, incandescent glow at night. Whether you actually want to live here or no, there’s no denying that it is indescribably pretty! 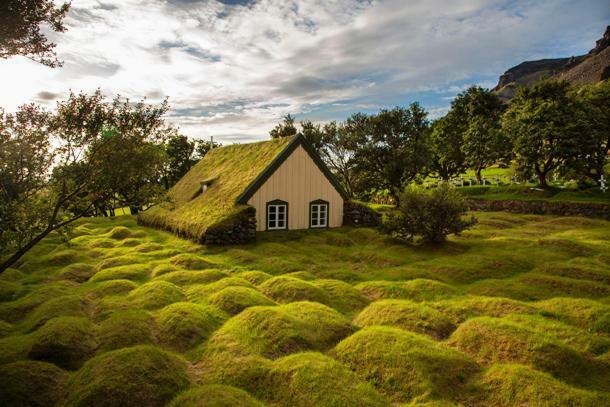 Nestled on Iceland’s mesmerizing lush countryside, the scenic house is originally a turf church erected in late 19th century. However, now it looks like a house inhabited by elves, goblins and dwarfs from your favorite fairytales. Yes, it is very fairy-tale-isque and reverberates with an old-fashioned charmed that is iconic of Ireland’s surreal countryside. If you are writing your Harry Potter, and looking for much needed inspiration, you know where to head, right? 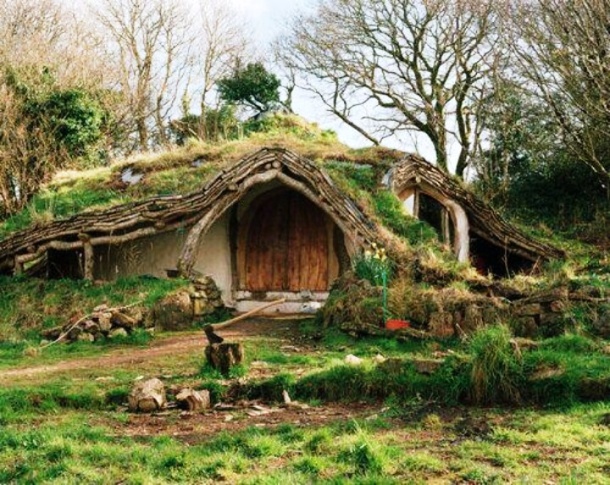 Endearingly referred to as “The Hobbit House”, the story book like cottage is nestled within a thick Wales forest. The best part about the abode is that it is constructed keeping all principles of conservation and sustainability in mind, thus being mindful of the local environment. It gives guests a rather unusual experience of living in the middle of a dreamy natural landscape. The house is in the middle of a forest that looks charmingly rustic. This beach hut offers several romantic and relaxed days of isolation to sea, sand and sun lovers. How about getting away from Mexico’s expensive, luxury beach resorts and instead opting for a cozy, secluded beach home that offers plenty of privacy in a cactus surrounded setting. And you thought beaches were only about overpriced accommodation and inaccessible luxury! This elegant little wooden cabin is locally referred to as Solvay Hut. Nestled on the rim of Switzerland’s famous Matterhorn Mountain, this one’s a dazzler all the way! It is located atop a height of around 4,003 meters, and can accommodate around 10 hefty guests. Yes, you’ve got to be really brave and want your solitude badly enough to embark on the arduous task of reaching this charming wooden hut.